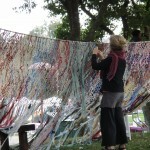 The twenty-second annual Bioneers Conference took place in San Rafael, California, with thousands of attendees. The year’s theme was “From Breakdown to Breakthrough: Transforming Civilization in the Age of Nature”. 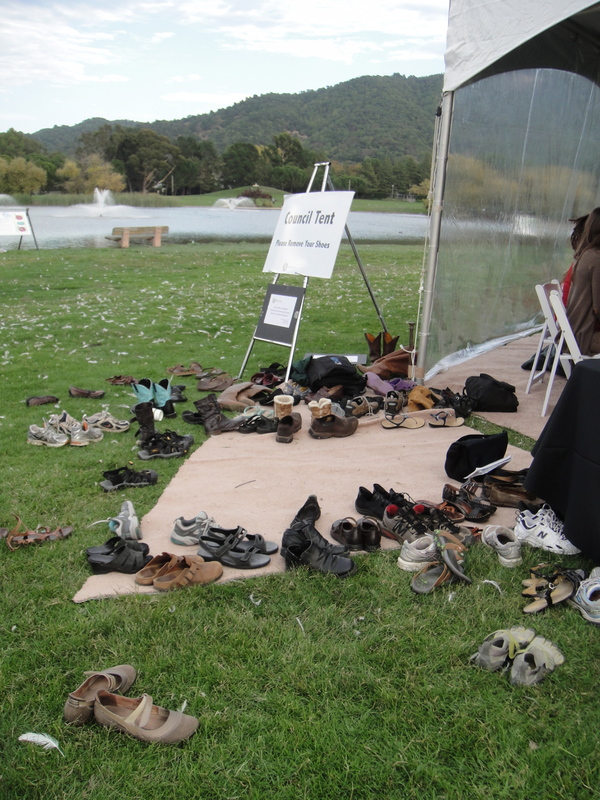 Speakers included the author and feminist activist Gloria Steinam, mushroom expert Paul Stamets, and energy policy savant Amory Lovins. In addition to the mainstage luminaries, forums, breakout sessions, art installations and musical interludes abounded. 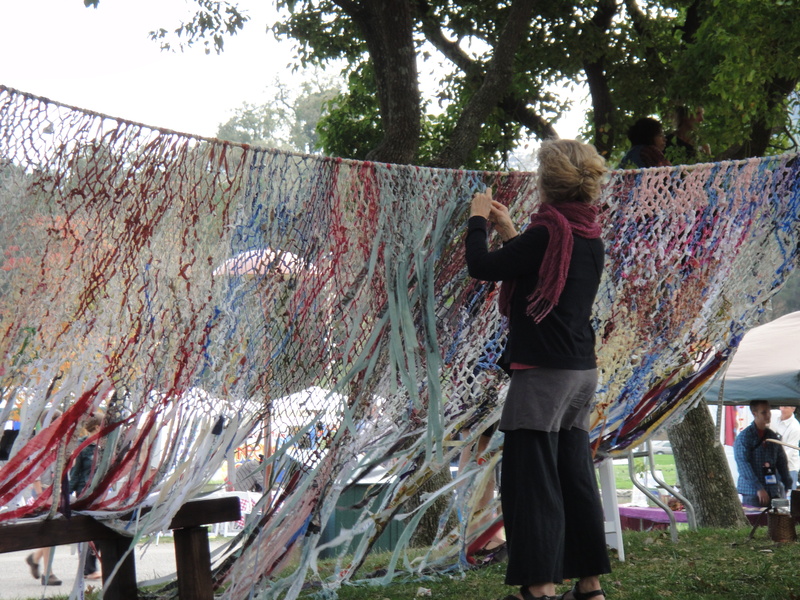 Bioneers showcases social and scientific innovation. The goal? To connect people and solutions. – which deals with the question of how to “re-indigenize” our societies and selves. I wanted to learn more about this concept, and attended an interactive program called “Restoring and Honoring the Sacred Feminine and Sacred Masculine”. 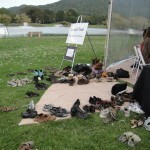 I left my shoes with a pile of Clarks, Keens and Merrills outside the round tent on ‘Council Circle Island’. Sharon Sloan is a Council practitioner, and opened the session by inviting attendees to share their stories. Sloane’s co-presenter, Ilarion Merculieff, is an Aleut traditional messenger. Sloane says that Council is held all over the world, often with very rigid and specific traditions. “And it doesn’t have to be serious. Okay? Spirituality includes humor!” Laughter. “So let us begin with the feminine. Here’s the question – what do you know, what is your direct experience of the sacred feminine in your life? Merculieff says that achieving a balance will be difficult. Sloane says it’s possible to overcome this imbalance without demonizing the masculine. The Council with Our Relations ended with reflection on what had occurred, and what to take forward. This session was only one of dozens, but it captures the dynamic, idiosyncratic and inclusive nature of the conference. 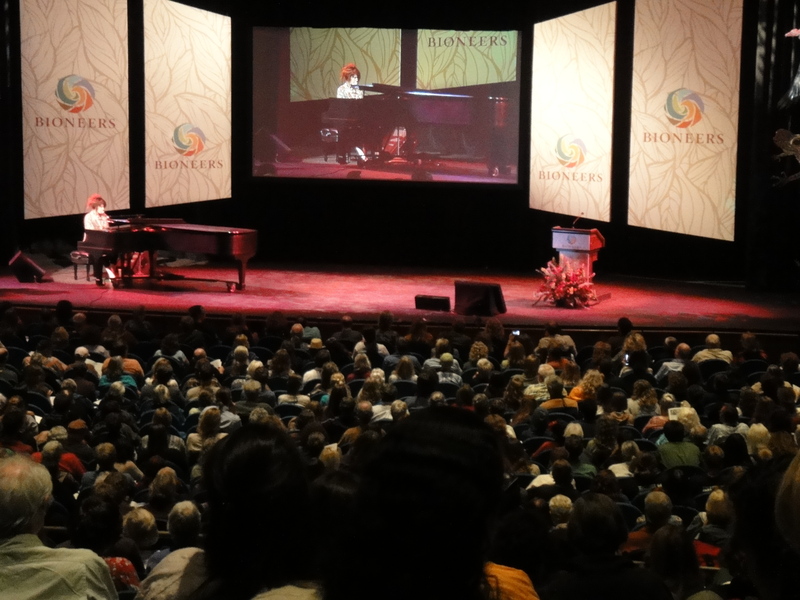 Bioneers engages both the cognitive and emotional centers of humanity, trying to forge new connections and advance society’s understanding of ourselves as individuals and as a species. 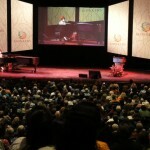 Learn more about the annual conference, and their year-round educational programming, at bioneers.org. For MIIS Radio, I’m Jessy Bradish. Kevin Fingerman is a Ph.D. Candidate at UC Berkeley in the Energy & Resources Group, and the Vice-Chair and Steering Board Member at Roundtable on Sustainable Biofuels.Â Hear clips from Fingerman’s presentation on biofuels and life-cycle assessments (LCAs) below, or listen to the entire talk. Listen to Kimbrell rip the industrial meat system, particularly Concentrated Animal Feeding Operations, known as CAFOs, and the e-coli contamination they spread… see the transcript below. 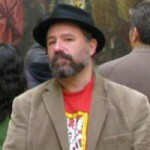 Hear the complete Andy Kimbrell interview here. As part of my Environmental Policy Masters program I am researching the industrial food system, conventional versus organic agriculture, and developed an interest in genetically modified organisms. I attended the first Justice Begins With Seeds Conference to deepen my understanding of the issue. This feature highlights some of the activists I interviewed, and their concerns. I’m still unclear on what the impacts of GMOs are, especially on human health, but I wanted to give voice to the critics, who I think are often overlooked in the general media stories. 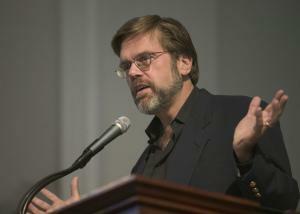 Listen to my No GMOs Conference feature. 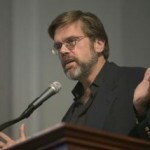 Listen to Journalist and Communications Director for the Global Justice Economy Project Jeff ConantÂ discuss four GMO story arks he finds in the media, and alternative narratives. 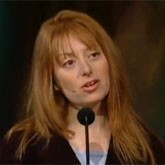 Conant says the common narratives are:Â Feeding the World is only possible withÂ Biotech,Â Innovation versus Fear (which also includes the Green Revolution in Africa),Â Separate but Equal (GMOs and conventional seeds can comingle), andÂ The Big Green Narrative, which is aboutÂ commodifying all life forms based on carbon.Â See the partial transcript below. 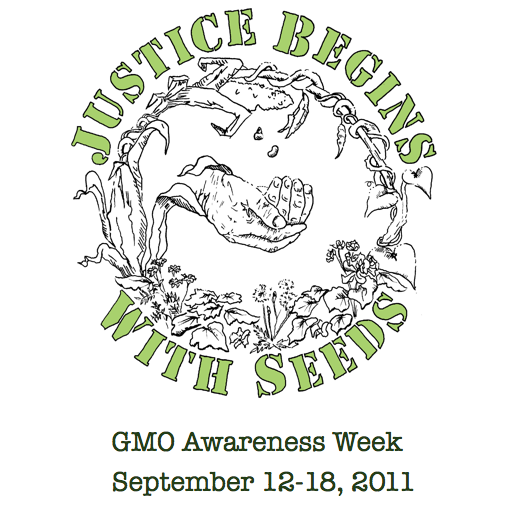 For more information about the conference seeÂ San Francisco Justice Conference Plants A Seed. Justice Begins With Seeds conference attendees talk about why they honor seed and soil, and offer prayers and songs toÂ pachamama atÂ a seed exchange. 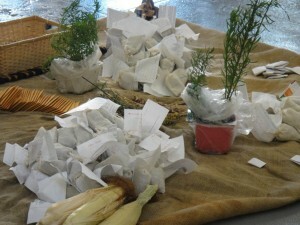 Hear why some attendees honor seeds. Listen to songs and prayers for pachamama from attendees. 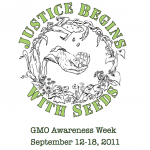 I attended the first Justice Begins With Seeds Conference to deepen my understanding of sustainable agriculture and genetically modified organisms. This feature highlights some of the activists I spoke with, and their concerns. I’m still unclear on what the impacts of GMOs are, especially on human health, but I wanted to give voice to the critics, who I think are often overlooked in the general media stories. For more information about the conference see San Francisco Justice Conference Plants A Seed. Jeffrey Smith with the Institute for Responsible Technology, Andy Kimbrell from the Center for Food Safety andÂ Dave Murphy with Food Democracy Now discuss their efforts to label, legislate, and ban GMOs. Whether using direct action campaigns, litigation, or lobbying politicians, all three are committed to keeping genetically engineered organisms out of our food system. Listen to their panel discussion here. I had the opportunity to see Mari Margil, the Associate Director of the Community Environmental Legal Defense Fund, speak at the recentÂ Justice Begins with Seeds ConferenceÂ in San Francisco. Her perspective on environmental regulation in the United States, and the ‘box of allowable activism’ that communities are forced to work within, is fascinating. Listen to the recording below. For more information about the Community Environmental Legal Defense Fund, visit their website. Listen toÂ Mari Margil Speak,Â and read the transcript. I had the opportunity to interview Pamm Larry at the recent Justice Begins with Seeds Conference in San Francisco. 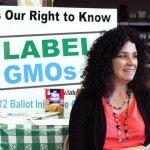 This grandmother has become the ‘original instigator of the genetically engineered labeling act in California,’ and is touring the state in her quest for consumer choice. Listen to the complete interview below. For a list of Larry’s upcoming events, and more information about her campaign, visit the Label GMOs website. Listen to the Pamm Larry Interview and read the transcript.